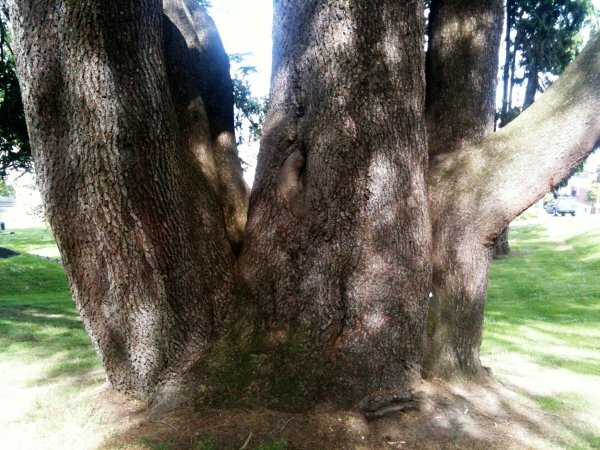 'One of the largest and one of the most prominent trees in Dunedin' Struthers 1983. 'The largest Atlas cedar in New Zealand'. Burstall 1968. Reference. Burstall SW. FM. Report no.23. 1970; p.19. Burstall SW & Sale EV. 'Great Trees of New Zealand' 1984; p.231. 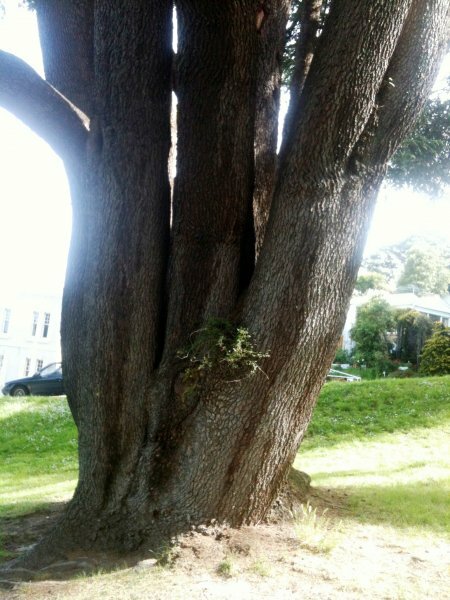 New rules categorise this tree as a multi-stem and therefore it does not qualify for champion tree status, (NZNTT 2011). Taken at ground level and includes all stems. Some wind damage but otherwise healthy. 5 stems arise at or near ground level. Old pruning cuts suggest others have been removed. 04 Dec 2011 Glenn, D.
01 Jan 1981 Struthers, N.W. 04 Dec 1968 Burstall, S.W. Located in the reserve near the corner of Arthur and Rattray Streets.